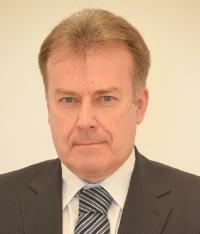 Dr. Tamás Kaiser, PhD in Political Science, associate professor at National University of Public Service, Head of Institute of State Theory and Governance at Faculty of Science of Public Governance and Administration. His main research areas are: multi-level governance, European regional policy, measurement of state capacities and government abilities, strategic development of public administration. He has several publications on topics of governance and territorial development policy issues. Office: H-1083 Budapest, Üllői út 82., Educational Building, Office 433. Recent developments around the world unequivocally demonstrate that it is the state that creates framework for security, stability and progress. This occurs by the independent decisions of the states within the boundaries of the given nation, also embedded in the international context. It has also been proved that the state enjoys a privileged position to institutionalise various rules and norms within its own territory, to coordinate social life, to provide public goods and services, and to guarantee responsibility and accountability. The institute's educational portfolio introduces general political science, legal theory and further legal topics as well as governance. The institute provides a comprehensive introduction to domestic and international dimensions, with special attention to effective and good governance, governance in Hungary, the public policy system, public policy and public administration development, regional governance and aspects of public relations. Sociology, the history of philosophy, logic along with subjects of international relations theory help students understand social and cultural background of public administration. Moreover, the institute offers a number of elective and English-language courses. Reasoning techniques, communications and discourse theory.